NO-ONE SHOULD OVERDOSE. LEARN HOW TO AVOID IT AND TEACH YOUR MATES. Overdosing is simply using too much. It can happen if you use opiates on top of other drugs (e.g. alcohol or benzos); or if you underestimate how strong a drug is (e.g. fentanyl or a new source or batch of street drugs); or if you have reduced tolerance (e.g. when you get out of jail or detox); or if you don’t give yourself a break between episodes of use (e.g. using ice repeatedly over several days). Be careful and follow the rules. YOU CAN REVERSE OPIATE OVERDOSE BY AN INTRA-MUSCULAR NALOXONE INJECTION. If you are around people who use opiates, get trained in how to use naloxone and keep a supply with your injecting equipment. If you use opiates, persuade your friends and family to get some and learn how to use it. It’s sold over the counter at pharmacies but your chemist might have to order it in especially. You can also get your GP to write you a prescription so you can buy it cheaper on the PBS. PLAN AHEAD. That means making sure you have enough injecting equipment to get you through to the next time you can get more. It means stashing equipment just in case you might use. It means preloading on some healthy food and sleep before you have a bender or go to a festival or all weekend party. It means making sure your phone has power and that you have a friend you can call if you need help. It means deciding what your boundaries are before you go out and sticking to them regardless of how bent you get. It means carrying condoms and lube or dams so you stay safe from sexually transmitted infections. DON’T USE ALONE. There are too many variables in using drugs and you just never know. You can use a lot of times and all will go well then something will be different, and you can overdose or have a reaction from it. Use the buddy system. At the very least, let people know where you are and what you are doing so they can get help if you don’t check back in with them. TRY AND USE AS CLEANLY AS POSSIBLE. Clean your area, your surfaces, your spoon, your scissors and yourself – hands and injection sites. Use soap and water, use swabs. I have had dirty hits and they are not much fun. I have also had abscesses caused from bits of dirt getting into the injection site. You can avoid a lot of pain by being clean and sanitary. ALWAYS BE CAREFUL OF NEW GEAR AND NEW DEALERS. There is a powder being sold at the moment as “China White”. People assume it’s heroin, but it contains fentanyl and is very strong. People with large tolerances have dropped sharing a $50. Be very careful, always try a little bit first or get a testing kit. 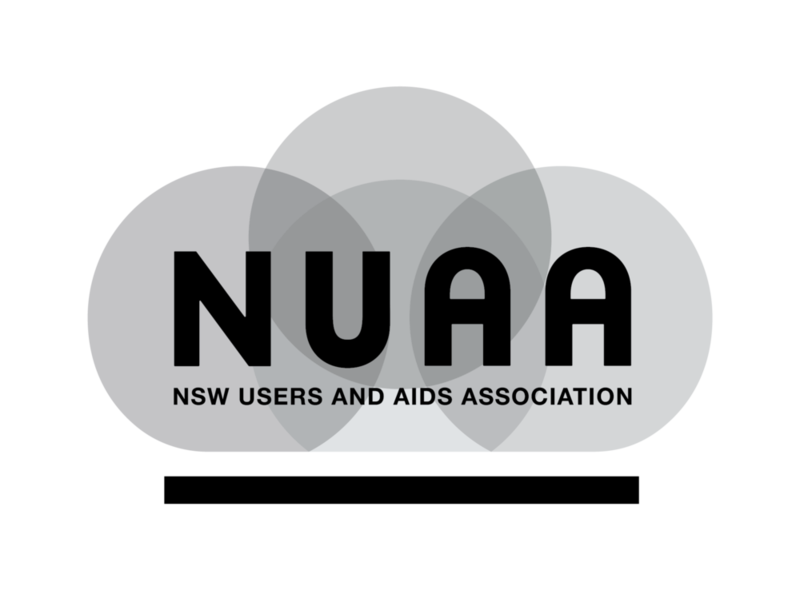 Ask NUAA about how to test for fentanyl. It doesn’t take much drug – you can do it from a cotton filter. THERE IS NO NEED TO HOLD SMOKE IN YOUR LUNGS. When you smoke drugs, you get most of the effect in the first few seconds. Holding smoke in doesn’t make you any more stoned, it just damages your lungs and your throat. USE A GAS JET LIGHTER FOR SMOKING ICE. They melt the crystal better and faster so you’re not sucking in crystal granules, you waste less, and you don’t get those black marks around the pipe so you can see what is happening more easily. COOL YOUR PIPE DOWN. Pipes get hot if you are using them continuously and that burns the gear which gives you a cough and sore throat. You can avoid all that by remembering to cool your pipe off. Plus, if you cool down from time to time you will stop your pipe from getting brittle and breaking. THERE ARE THINGS YOU CAN DO TO GET YOUR VEINS UP. My best tip is drinking a big glass of water before you inject. It really does make your veins plump. If you shoot up every day, you really have to be drinking enough liquid to keep your veins in good shape. You can also run warm water over your injection site –- jump in a hot shower if you can –- or put a hot washer on it. I find new veins by feeling around in the shower while they are at their closest to the surface. Sometimes I even inject while I am in the shower. I also do a bit of exercise to bring the veins up – you can just swing your arms round or do push ups against the wall to get your arm veins pumped. TRY A TOURNIQUET. I never used to use a tourniquet when I was young, but now my veins are harder to find I really have found it useful. Never share your tournie with someone else because they can get blood on them which can cause HIV or hep C. Just because you don’t see blood doesn’t mean it’s not there. GET TESTED AND TREATED FOR HEP C. The new tests and treatments are nothing like the bad old days which were really only a few years ago. So many people have excuses, but it’s a whole different world. You don’t need good veins. Most people don’t get any side effects. Treatment is in tablet form and some people only have to take one tablet a day for a couple of months. It is so worth being free of hep C. Just because you don’t have any symptoms today, it’s the kind of thing that can make you really sick when you are older. Knock it on the head now while it’s easy to access and cheap. USE A NEW, STERILE FIT EVERY TIME YOU INJECT. The only way you can be sure to avoid hep B, hep C or HIV is by using a new, sterile fit every time you inject and by not sharing other injecting equipment. And the only way to make sure you always have a new fit is to pick up more than you think you will need from the NSP and have an emergency stash in your bedroom somewhere that you replace after you use it. IF YOU DRINK ALCOHOL TAKE VITAMIN B. I’ve been on a high dose of methadone for a fair few years. I don’t use any more, but I do like a drink and I drink every day pretty much. My doctor told me that can affect my memory and concentration and to stop permanent damage I should get regular vitamin B injections. You can get them from the chemist over the counter and they are pretty cheap, about $10 for 3, so I give myself 3 a week, every second day more or less, just in my bicep. It’s worth it to keep my brain happy. TREATMENT HAS CHANGED – FIND OUT WHAT IS OUT THERE. Back in the day, there were just a few detoxes and rehabs and they were all about shaming you into stopping using. Other than that there was Narcotics Anonymous. These days there are all sorts of options. There are some really good psychologists and doctors. There are detoxes where you can stay on your prescribed drugs but detox off street drugs and services that will support you to detox at home. There are short term day courses and long term live-in programs. There is support for all sorts of drugs, from opiates to benzos to ice to cannabis and so on. While there aren’t as many options as we would like and too many have waiting lists, don’t assume you know what is available. More services than ever are listening to what people’s own goals are rather than trying to make everyone fit the abstinence model. Talk to a drug and alcohol service and find out if there is anything that might help you get to where you want to be.